This is one of the beautiful kukri models. The name- American Eagle derives from the Eagle which is national Symbol of United States, the handle shape is eagle and its famous within US Knife collectors. The blade is made by the continue beating process. 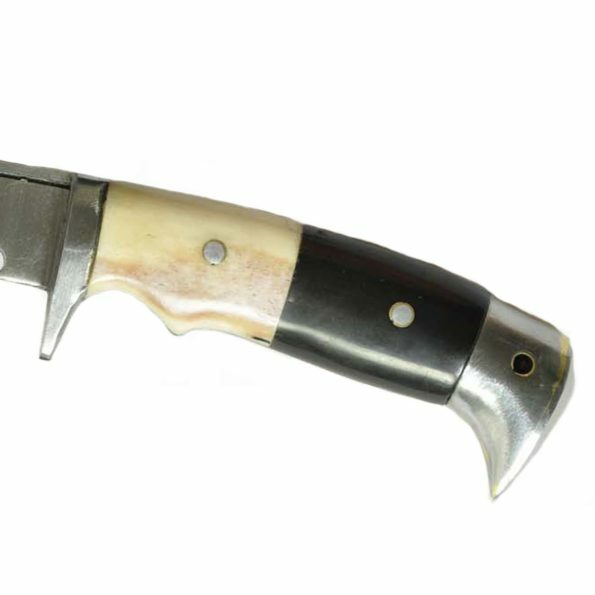 The 6″ knife-edge is made of highly graded carbon steel (spring of truck, Car) with water pouring temper on the blade so it is very strong. 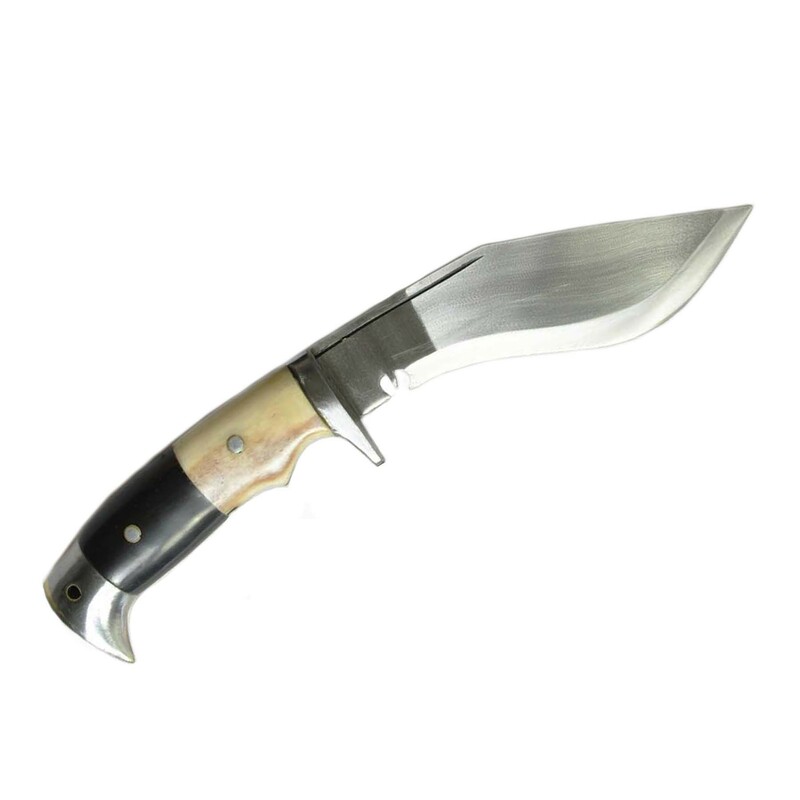 5″ Full tang handle is made of Indian rose-wood and fixed with two metal rivets. 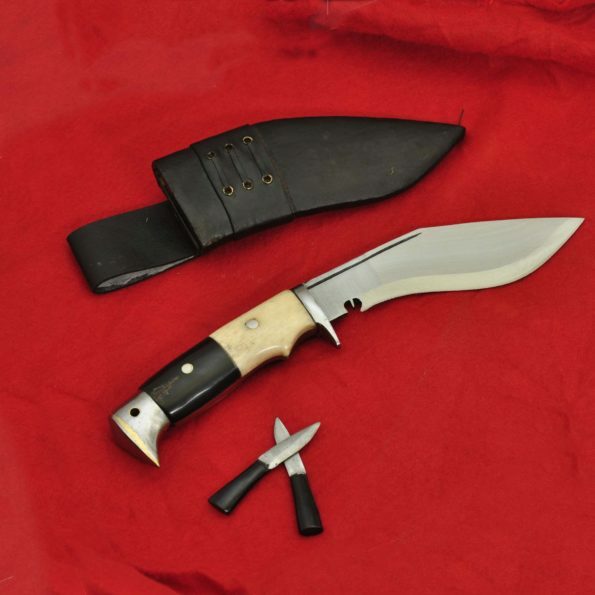 Sheath is black and made of water-buffalo leather. Due to small size this Kukri can be a best tool for camping. The craftsmanship on this knife is amazing. 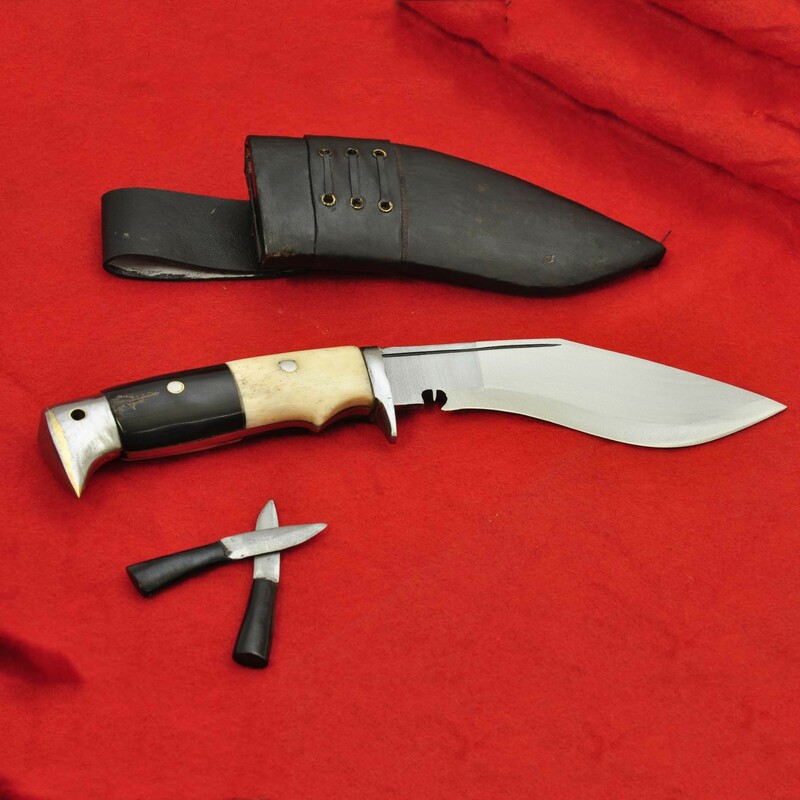 Material Used: Highly Graded Carbon Steel, (car & Jeep leaf spring, 5160)Water Buffalo refine Leather for Scabbard(outside) Bone and Horn for the Handle, Pinewood for the Scabbard (inside), Laha( Nepali Traditional Glue). Weight: 550 gms (19 Oz Approx).